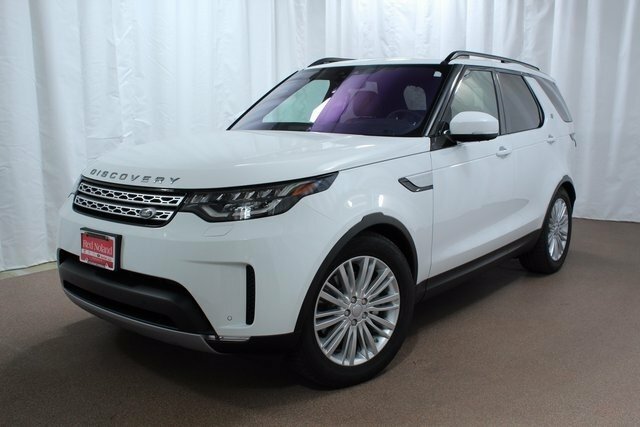 Visit Land Rover Colorado Springs and get to know the capability of the 2017 Land Rover Discovery. This all-terrain SUV is capable of handling the mountainous terrain of Colorado but is equally capable of providing an enjoyable drive and comfortable ride. The Land Rover Discovery offers seven full-size seats to accommodate driver and passengers comfortably. There are a great variety of storage bins throughout the vehicle to allow extra items to be stowed away. This allows the vehicle’s cabin to stay comfortably uncluttered. Need some room for cargo? Not a problem! Fold down the second and third row seating and have 82.7 cu. ft. of cargo space. Configure the easy folding seats to provide as much cargo space as needed. This process could not be easier when you use Intelligent Seat Fold with cargo space switches or by using the main touchscreen. While you are not in the car, you can configure the seat with the Land Rover InControl® Remote™ app. All-terrain capability is enhanced by Hill Descent Control. This system helps maintain consistent speed while going down a difficult slope. Brakes will be applied to each wheel individually as needed. The Terrain Response® System optimizes several systems to meet the demands of the terrain. This can be done by selectable driving modes. While optional Terrain Response® 2 analyzes the conditions and chooses the best driving mode for you. In addition, towing is a capability the Land Rover Discovery excels at. Tow up to 8,201 lbs with your Discovery SUV. The optional Advanced Tow Assist allows you to easily control the direction of the item you are towing while backing. Use the rotary controller for ultimate control. Visit Land Rover Colorado Springs for a test drive. Experience the luxury, features, and capability of the 2017 Land Rover Discovery for yourself! So, let our Land Rover experts show you all of the amazing features that will easily take you from a daily commute to family camping trip.